A few degrees stronger than your usual Montecristo cigar, and far more complex, the Montecristo Epic provides an engaging and flavorful journey for the well-traveled palate. 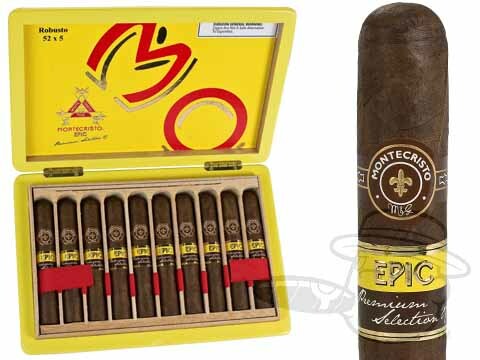 Boasting a wealth of rich tasting notes with nuances of cocoa, coffee, nuts, fruit, and caramel, all through a precise burn and clean draw, the Montecristo Epic keeps things interesting from light to nub. 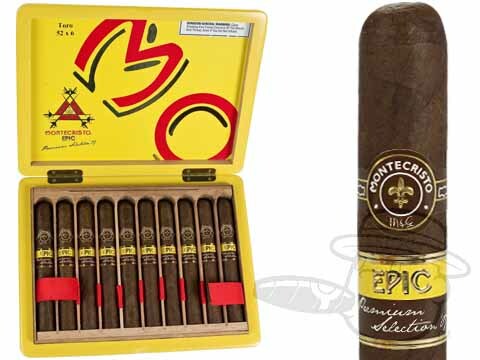 Every "classic" cigar brand is putting out a cigar to "update" their image these days, but none have come even close to the awesomeness of Montecristo Epic.